Any contacts or media backed up to any Cloud service (e.g., Verizon Cloud, iCloud®, Google Drive, etc.) 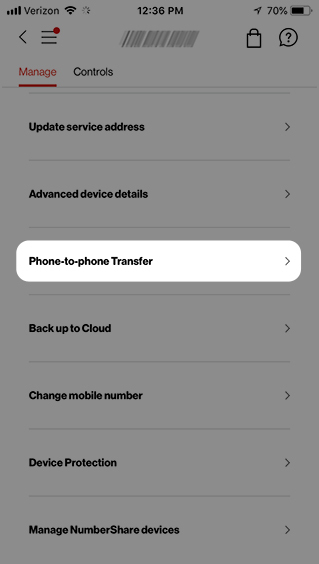 are not transferred by the Content Transfer app and need to be restored to the device using the same service. The Content Transfer app only transfers contacts, media, etc. to the new device that haven't already been backed up to a cloud service. For use on an Android™ smartphone, see Access Content Transfer app - Android smartphone for further assistance. If necessary, download and install the latest version of the Content Transfer app. Begin transferring content from the old device to the new device. 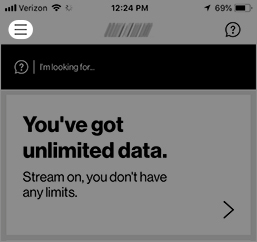 Download and install the latest version of the My Verizon app. 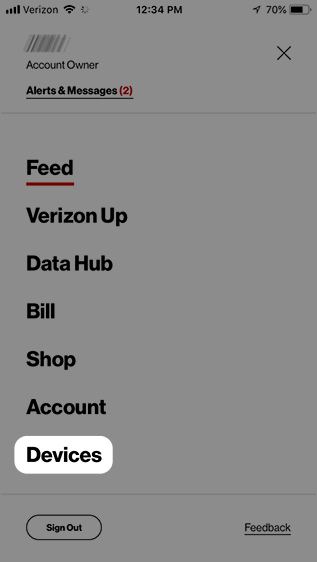 While in the My Verizon app, tap the Menu icon (upper-left). 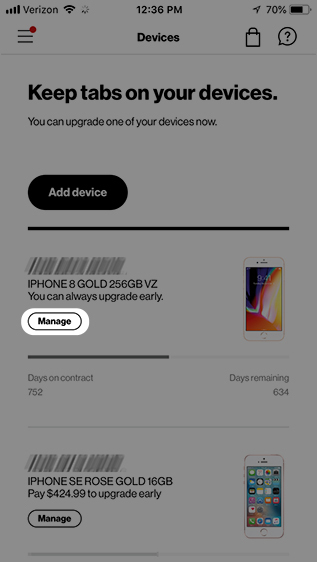 Below the device's 10-digit mobile number, tap Manage.